We are sad that we don't have a booth in this fabulous shopping event, but we think that it’s still going to be fierce for us Erzulliestas to shop by. Why? Check out what we have gathered so far! If there is one thing that we know that you love ladies, it’s shoes as fierce as your Erzullie wardrobe! From what we have gathered from the posts these top Metro Manila Shoe lines will be there (even more). 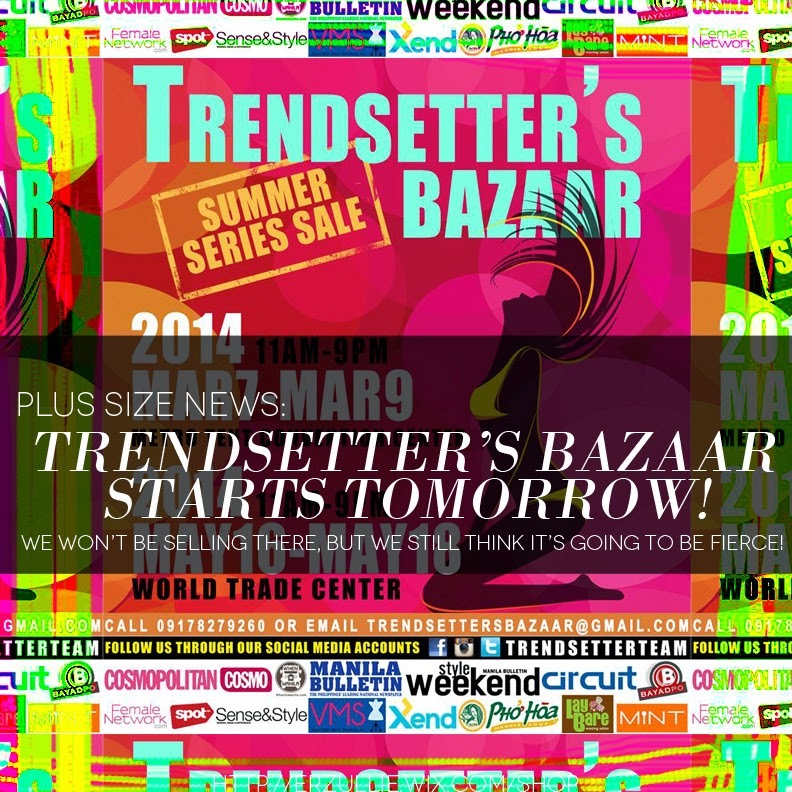 Erzulliesta Sol, owner of Digital Traincase, will be there to get your make up fix satisfied! Our good friend, Chedelyn, will be there too! No need for explanation. If there is one thing that this brand and us have in common, it’s you ladies! Her durable, fashionable bags will be there. Seriously --- this you have to see! They have this whole new look and a DIY bikini lab! I know some Erzulliestas have bought from there so you ladies may want to check it out. Some Erzulliestas that we have styled know that we pull out from this accessory store. If you want great finds and variety for accessories, Mia Casa has it! Hope to see you there ladies and dress fierce! I will be going there with some of our fashion sisters on Saturday to browse and shop. Tweet us if you are there! PLUS SIZE OPINION: TO QUIT OR BE QUIET?